Diamond Select Toys to Produce new Muppet figures and mini mates! Discussion in 'Action Figures' started by rowlfy662, Feb 16, 2015.
well an awesome announcement has come from this years toy fair. Diamond Select Toys are producing new Muppet figures apparently for a fall 2015. Sadly Diamond didn't let pictures be snapped of these products and I'm guessing more information might come in comic con this year but this is exciting times indeed. It's interesting that Animal isn't included in the first assortment. Makes me wonder if they plan to get the rest of the Electric Mayhem and include Animal then. Tough Pigs says that the figures will come in two-packs. I wonder who will be paired with who. Bunsen and Beaker would be obvious, as would Gonzo and Camilla, and I can see Kermit coming with either Miss Piggy, Fozzie, or Robin. I want to start a Muppet Wiki page for this, but I'm not sure how to source it. The only source I've seen is from Tough Pigs' Facebook and forum posts. Tough Pigs has not yet posted an article about them (I think it was said that Tough Pigs will hold off on Muppet Toy Fair coverage until next week). I think it was said on the Tough Pigs forum that they were told that the Mini Mates is currently only planning the ones announced (though I think they're considering more) but that there are plans for more "Muppet Selects". Speculation for who will be paired with who in series 1: Kermit and Robin, Miss Piggy and Scooter, Fozzie and The Swedish Chef, Gonzo and Camilla, Bunsen and Beaker. Series 2 wishlist: Dr. Teeth and Animal, Floyd and Janice, Zoot and Lips, Rowlf and Baskerville, Statler and Waldorf. Series 3 wishlist: First Mate Piggy and Link Hogthrob, Dr. Strangepork and Mahna Mahna, Snowths 2-pack (there could be a Mahna Mahna and Snowth 2-pack, but then we'd either be missing a Snowth or have to have two Mahna Mahnas in order to have two Snowths), Penguin 2-pack, Walter and Uncle Deadly. 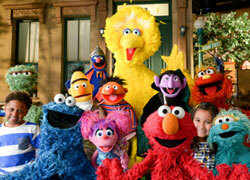 Muppet Selects Speculation: Miss Piggy and Gonzo, Animal and Rowlf, Bunsen and Beaker. This is the best news. I'm excited to see what these figures will look like. I wish they will be the angular figures, that we thought might have been for Disney Infinity. Something tells me these will be minimates. Which are fine, I'm not the hugest fan of them, but it's something and I'm excited for them. Otherwise, all I can see are very expensive statues or something. Maybe a small series of A-list Kermit, Piggy, and Animal type things that cost twice as much as the Palisades ones did. Which, not bad, but it's just not going to be the same deal as those ones were. It had already been announced that the small figures would be Minimates, while bigger action figures would also come out as two-packs, one two-pack at a time. Toughpigs mentioned that the bigger figures will be loaded with accessories. I wonder what accessories they'll be. There's not much obvious for Kermit (besides a banjo and swamp stuff, maybe his tea cup), while most of Fozzie's accessories will probably be accessories that the Palisades toy came with. As Minor Muppets stated, they are doing BOTH MiniMates and Diamond Select regular figures with articulation etc. starting with Kermit and Fozzie. I like that they're getting a widely-known name brand this time. These will be quality sculpts, but this probably also means size differences, a little less detail and less articulation. So the person from Tough Pigs who was at Toy Fair (were they both there?) was told that the announced Mini Mates line would probably be it for now, but if they do come out with more, I wonder if there should be some series of mini mates themed around different movies. Of course, I wonder if the license is like the initial Palisades license, where only characters, variants, and accessories (and playsets, but we probably won't be getting those from Diamond) from The Muppet Show were included, or if this license can, from the start, allow for characters and things from the movies and maybe Muppets Tonight (currently I don't expect anybody from MuppeTelevision to be included). I wonder if there were any limits on Muppet productions included with the Vinylmation and Funko figures (I can't remember off-hand if Pepe was included as a Vinylmation figure, though Walter and Waldo C. Graphic were). I remember when Palisades Toys were first announced (actually, more accurately before when Henson.com had its action figure survey) I was hoping that each show and movie would get its own separate line, though I was quick to be okay with TMS, MT, and the movies being mixed in one line when the license expanded. And I am glad that there weren't any series of figures themed around one movie or thing (even though there was almost an entire Muppets' Wizard of Oz series). 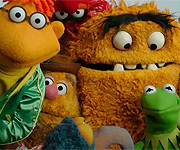 But currently, with the Mini Mates, I wouldn't care if they included a few series of figures based on a different Muppet movie, though preferably after all the major classic characters come out (or maybe every other series). I wonder if they can easily make a set themed around The Muppets Take Manhattan or Muppets from Space (was including variants from these movies plus The Muppet Christmas Carol and Muppet Treasure Island an issue during the Palisades era?). A Muppet Treasure Island series seems like the best choice. It could include Kermit and Clueless Morgan, Miss Piggy and Polly Lobster, Fozzie and Mad Monty, Gonzo and Rizzo, and Bunsen and Beaker. Or Piggy could come with Flubert, Bunsen and Beaker could be taken out, and Sam the Eagle could come with Polly Lobster. Or leave out Flubert and include Blind Pew. A Muppets Take Manhattan line could include the Muppets in either their Together Again or "Right Where I Belong" outfits. It could include both the characters from those numbers and The Electric Mayhem in their outfits from the movie (technically the Mayhem were characters in the number, being in the orchestra pit). The pairings could be Kermit and Dr. Teeth, Fozzie and Floyd, Miss Piggy and Janice, Scooter and Animal, Gonzo and Camilla, Rowlf and Zoot. Or maybe include the movie's original characters (and Rizzo) instead of The Electric Mayhem, though that'd be more than ten figures. This is very cool news, I can't believe it's been so long since we collected the Palisades Action Figures, I'm ready for a new collection. I'll pick up the Mini Mates although looking at the pics of other Mini Mates I can't say I'm that excited for them but I am excited with the idea of expanding my Muppet character merchandise, Scooter and Robin are a good start. I have a feeling if the Mimi Mates continues it'll be a good chance to collect some secondary characters. At the same time I know many, many, many Muppet fans have been waiting for Muppet Legos so for all of them I'm happy because these look a lot like Legos. Fozzie and Kermit, this is where i'm truly excited, I do like the Funko figures and the Vinylmations were okay too but like the Mini Mates they aren't proper representations of the characters. Luckily these new action figures will and they will be big, I'm so excited to find some extra shelf space. I saw the Diamond Select prototypes at Toy fair and the action figures, while slightly smaller then the Palisades figures, will have a lot of detail and look very much like them. ... And cost twice as much! The Minimates sound pretty good, even though I'm not the hugest fan of those things, but I'm going to bow out of the 25 dollar action figures. I can get a decent sized Transformer for that much. And I hear they're releasing Cyclonus again. Wish we had pics so I can holdoff on dropping some serious coin on eBay for my missing figures. Unless you're missing Fozzie or Kermit, I doubt there's going to be any major surprise characters you may have missed. That's my one problem with a new Muppet Action figure line. You know we're not going to get anyone like Sal Manila, Clueless Morgan, or anyone we were so frustratingly close to getting before the line ended. Even if we did, 25 bucks a figure. Exclusives didn't cost that much. Though to be fair, you can attribute that to the completely different action figure collector's landscape than what was a decade ago. This thing's only going to be limited production (at least opposed to the Palisades series) and only available in limited retailers. The Minimates line seems more accessible, and with a better selection of characters. Hopefully they get approval, these sell well, and we can have variants of popular characters with fan favorites as the other figure pack in. It would also be nice to see collector's edition movie sets in time. But we have to keep those hopes in check, or disappointment will taint the line up. From what I read it's $25 for TWO figures. Kermit and Fozzie are reportedly buddy-packed. That means the breakdown would be $12.50 per figure. But because of the challenging toy market, fans have to buy both at once - that's not a bad trade-off at all. And why does this have to be a continuance of the previous line? I hope this is something all new. I also hope they go a different route, make them smaller and with less articulation. I don't understand all the negativity. I just don't. Muppet fan 123 and The Count like this. I'm in agreement with Jamie here. I don't own a single Mini-Mate figure so I can't really speak to either the scale nor articulation nor detail of what we could expect with these new figures... And I'm okay with the pricepoint for the Muppet Select buddy pack 2-pack figures. And though I will never trade away the greatness that was the Palisades era collection, I've been a staunch supporter of Corey's claim that a better more-inclusive more-expansive rosterwise selection of Muppet figures would have been to make the PVC figurine Mini Muppets the main collecting focus. Will I collect the Muppet Mini Mates? Dunno, after all, I haven't picked up any Muppet Vinylmations either. I wish this new endeavor all the success in the Henson world, I'll just be focusing on my own pet projects in the meantime. Muppet fan 123, los and jvcarroll like this. $25 for a two-fer is a great price point especially when eBay and other secondary markets have common figures at $20 a pop. I am missing Sam and he is normally $70. Most of the Electric Mayhem run you about the same if not more. Yup. As the series' went on there were fewer units produced. That drove the SRP up and contributed to them being rare. I just verified that series one started in 2002 at an SRP of $7.99 per figure but was usually marked up to $9.99. The line ended with an SRP of $11.99 in 2005 but was commonly marked up to $14.99. The idea that ten years later a "buddy" two-pack would go for $24.99 seems like a steal. Personally, I always thought buddy packs should be the way to go. It's a way to release fan favorites along with a main character. I guess Fozzie and Kermit are a good way to start, but I hope they shake things up with some rarer Muppets.